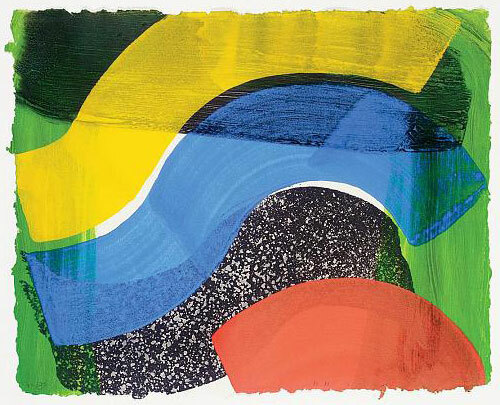 Howard Hodgkin is a British printmaker and painter, born in London in 1932. He studied at the Camberwell School of Art from 1949 to 1950, followed by the Bath Academy of Art between 1950-1954. He has served as a trustee of both the Tate Gallery and the National Gallery, London and in 1992 he was knighted for his services to the arts. He began exhibiting seriously at the age of 30. 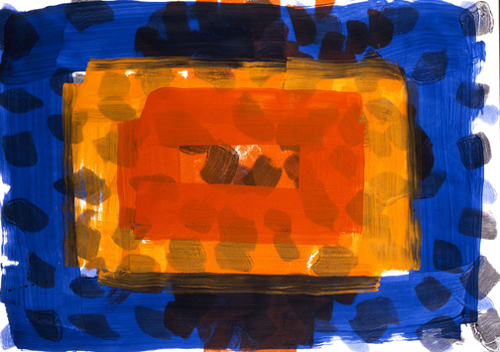 Hodgkin works in generally a small scale, often painting in a gestural style with flat colors. Though his works are small and appear spontaneous, they are the result of a constant process of over-painting, sometimes extending over many years. His paintings and prints often refer to memories and private experiences, but deliberately avoid the illustrative. Since the 1950s, he has made a substantial number of original prints and, over the last twenty years has favoured the use of etching and aquatint combined with hand-painting. 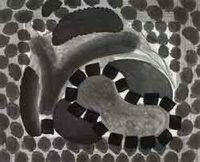 The Alan Cristea Gallery in London is the exclusive publisher of Hodgkin’s hand-painted etchings. He has worked closely with the same master printer, Jack Shirreff at 107 Workshop. (http://www.alancristea.com/artist-Howard-Hodgkin) David Krut has worked in association with Alan Cristea Gallery in London, over the last thirty years.